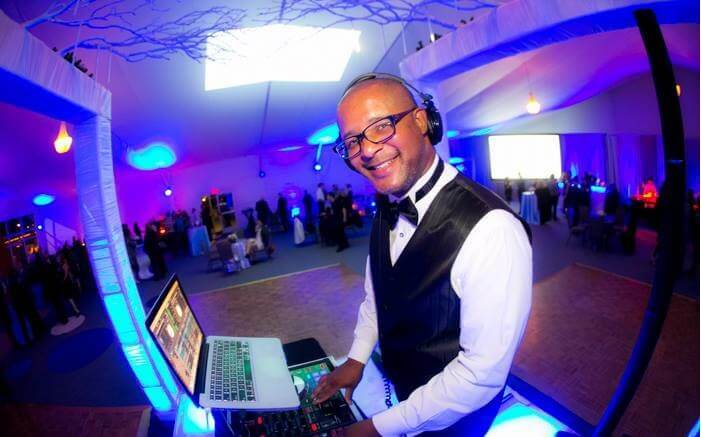 What is a reasonable price for a wedding DJ? Do you match other DJs prices? No. I believe that my product and skill set that I offer is paralleled to no other DJ so I don’t try and match other DJs prices. There is a purpose why I charge what I charge and I pretty much stay true to that. Perspective clients can always get a specifically tailored quote from me. Typically, a beginning DJ will start at $200 – $300 for the entire event. Crazy huh? But you truly get what you pay for. After being President of the San Diego DJ Association and speaking with DJs in San Diego area that charge that low, I learned that their mindset is that they are “just trying to get there name out there”. I do advise them otherwise for a host of reasons. Reasons that aren’t good for you the client or for them as the business owner. Then most likely a part-time hobbyist would charge $400 – $600. Then you have the more experienced than the beginners, but most likely a part-time DJ would charge between $800 and $1000. Anything over $1,000 up to $2,500 would be the Most experienced, professionally trained, full-time DJ. That price point is pretty much the range that you want to stay in for a “more than likely” musically successful event. You should also base your budget on what kind of experience level of DJ you want at your wedding reception. What is the average price that a couple will purchase your services for? My average price varies. One thing I want to say before I tell you my average price is that no matter how much or how little my client pays me I still offer the highest level of professionalism AND quality for their event. With that said, my average price is $1700. What makes you different where you can charge double what others charge? I believe I offer something that very few DJs in the world offer. I am being generous when I say “very few’ because in actuality I have never run across or heard of a DJ that can do what I do exactly the way that I do it. other than my bio on my “about me” page which indicates my history and experience, but First off, I coined the term “Neural Impulse DJ’ing” which is the ability to subtly control people’s emotions and their behaviors based on the sounds that are played. The specific sounds that I look for are located in songs. There are many great DJs out there but when I’ve spoken with a few and asked what makes them good, that becomes a tough question for them. My skill set and strategy goes well beyond just playing songs. It ventures into the realm of psychology. My DJ services that I offer ARE successful and on point 100% of the time and are directly attributed to the technique of Neural Impulse DJ’ing. When you can guarantee a successful event every time I believe that is valuable to a client and most are willing to pay for that piece of mind. They will not have to worry about music. Is that the only reason you charge what you charge? The hours of time put in to each event which by far exceeds the amount of time that I would be hired for. All of those factors require money and are necessary to stay in business. That is another reason why you shouldn’t take a chance on a cheap DJ. Strictly because of their price point some of those items that I have listed above, they can’t afford or don’t have. The DJ companies in my price point are more likely to have all of those. Does your rate include set up and breakdown? Yes. You only pay for the time that we are actually playing music. Do you have any hidden charges or fees? No. All my pricing is itemized on our agreement. I do not have any surprise fees that my clients didn’t expect. I take pride in my company being forthright and exercising ethical standards with regards to pricing. I charge the same hourly rate not unless it’s established otherwise per written agreement. The best time is as soon as possible! My services book fast and sometimes without warning. My clients have the ability to go to becksententertainment.com and secure my services without even meeting with me or speaking with me on the phone. Once they check my availability and find that I’m free on that particular day to be the entertainer at their wedding then they then get a quote then just book. This happens roughly 10% of the time.